You are currently browsing the tag archive for the ‘New Years resolution’ tag. On the way to teach yoga, I was thinking about the coming year 2012 and how we are bombarded with so many messages about making New Year’s resolutions in the media. I too have a resolution to add to your list. In fact, put this resolution right at the top. I will find complete self-acceptance in 2012. Now erase all resolutions that follow. Ah. Doesn’t that feel like freedom! I completed my Baron Baptiste teacher training this past summer. Baron Baptiste strives to create teachers that come from a true and authentic place. To accomplish this we worked on ridding ourselves of the garbage that we carry—the stories that we believe about being unworthy, unlovable and just not enough. We worked to get to the place where we had 100% self-acceptance. We had to stand in front of 150 other teachers in training and declare that we were 10s. We had to do this with certainty and belief. It was hard. Our society is accustomed to thinking that we will be a 10 if we lose those last 5 pounds, get that better job, nicer house, faster car or fill in the blank. We need to erase the wrinkles on our aging faces and tighten our sagging bottoms and have washboard abs to be our best. But it is just not true. We are all 10s—right here and right now. You do not have to do a single thing but arrive and approach everything that you do as the 10 that you are. Try on the resolution of self-acceptance. 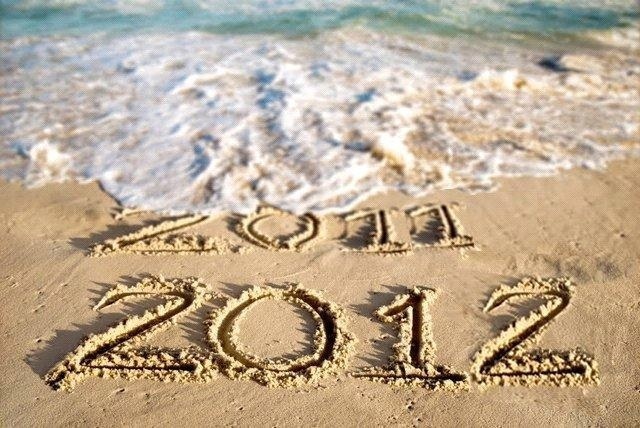 See what the possibilities of believing yourself a 10 bring this 2012. Treat everyday this year as the special gift that it is and have a very Happy New Year.